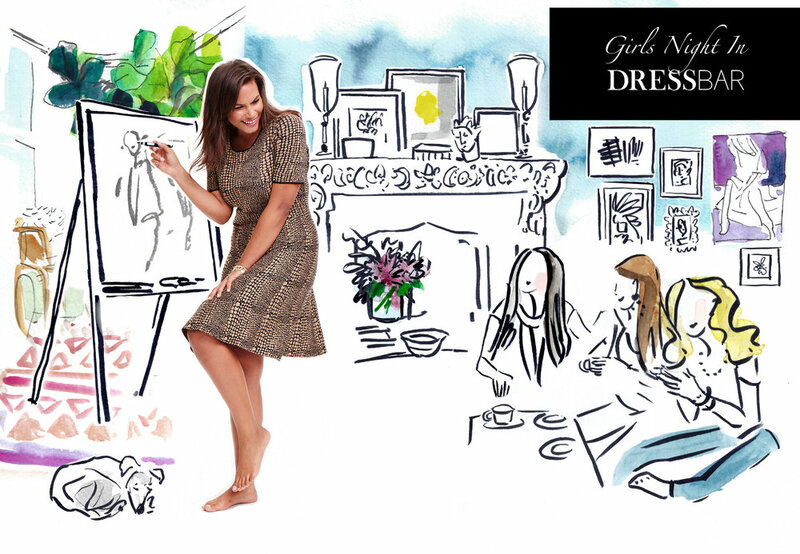 Created for DRESSBAR, a new initiative by Women's retailer, DressBarn. Ilustrations used on the DRESSBAR website and in promotion of women's dress collection. Commissioned to illustrate Danielle Vitale and Tom Kalenderian in front of Barneys New York storefront.